Are you overweight, overtired and overstressed? Think you're too old to lose the weight? Feel like a failure because you've wasted so much time, energy, and money on diet plans that didn't work? Disappointed when you look in the mirror? Hate to have your picture taken? Fed up? Imagine what your life would look like if you lost all that extra weight (especially the dreaded muffin top) and got into a right-sized body. Ditch the joint pain. Have tons of ENERGY! Cross your legs. Love what you see in the mirror. Have your picture taken. Wear cute clothes. Look forward to bathing suit shopping. Move around freely. Travel the world. Transformation is possible for you if you WANT it enough. And I'm here to help you. 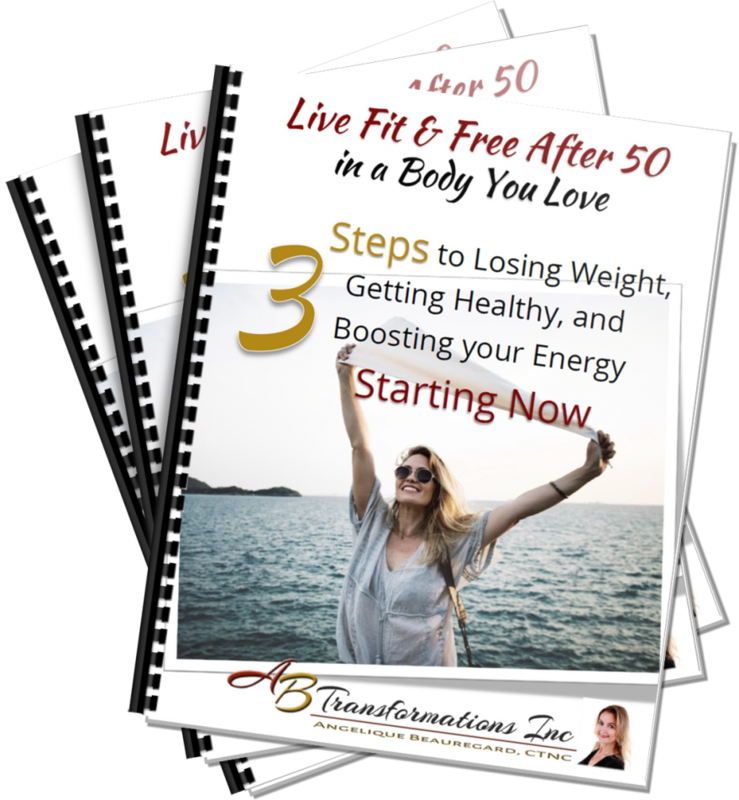 I've created this free report to help you Live Fit & Free After 50 in a Body you Love. It will get you started on a journey to losing weight, getting healthy and boosting your energy so you can live the life you want. I've been where you are. I've known the pain of not wanting to see my reflection all too well. It's not the life I want for you. Are you ready for YOUR midlife re-awakening? Enter your name and email address in the spaces provided for instant access to my three steps to losing weight, getting healthy, and boosting your energy so you can live the life you want in a body you love. "Angelique shares a ton of great information about your body, how you digest, and why it’s so important to free yourself from flour and sugar. I love her tools, and her theories make sense to me. 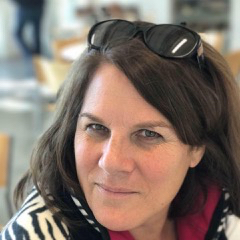 She is very inspirational and informative, as well as welcoming and warm. She doesn’t judge. She meets me where I am so I can move forward at my own pace." Losing Weight, Getting Healthy, and Boosting Your Energy - Starting Now! YES! Please keep me updated with free tips, resources, and exclusive offers. I understand that I can unsubscribe at any time. We never spam, and promise to keep your email address safe.